As we come to the end of summer, my convention season has shifted into full swing. This weekend finds me in Phoenix, Arizona at CoKoCon. If you’re in town, I hope you’ll drop by. It’s a great event. You can find more information about the convention at http://cokocon.org/. A week ago, I was at Bubonicon, celebrating its 50th anniversary and the Golden Age of Science Fiction. To get ready for the event, I decided to read some Golden Age SF. One of the stories I encountered was an early story about solar sailing called “Sail 25” by Jack Vance. 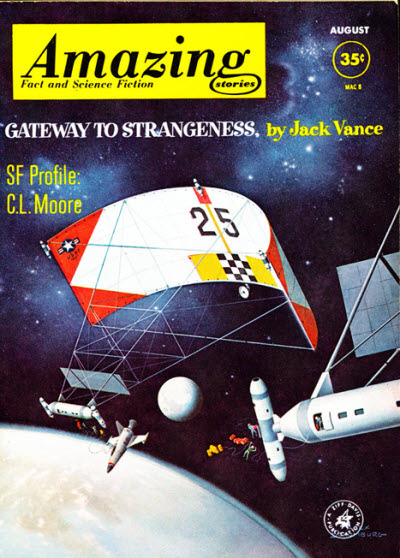 “Sail 25” was originally published in 1962 in Amazing Stories under the title “Gateway to Strangeness.” It was retitled for Vance’s collection Dust of Far Suns. I read it in the anthology The Seven Deadly Sins and Cardinal Virtues of Science Fiction edited by Isaac Asimov, Martin Greenberg, and Charles G. Waugh. It tells the story of a group of cadets who must make a voyage on a solar sail space craft under the watchful eye of a notorious instructor named Henry Bolt. Those who survive Bolt’s training expeditions often go on to the top ranks of the space service. This may sound as though Bolt is a rigorous taskmaster. In fact, he seems completely the opposite. He all but ignores the cadets while he sits in his cabin getting drunk on whiskey he smuggled aboard in a box labeled “radio parts.” He only appears to give them demerits for talking out of turn or showing signs of hopelessness. 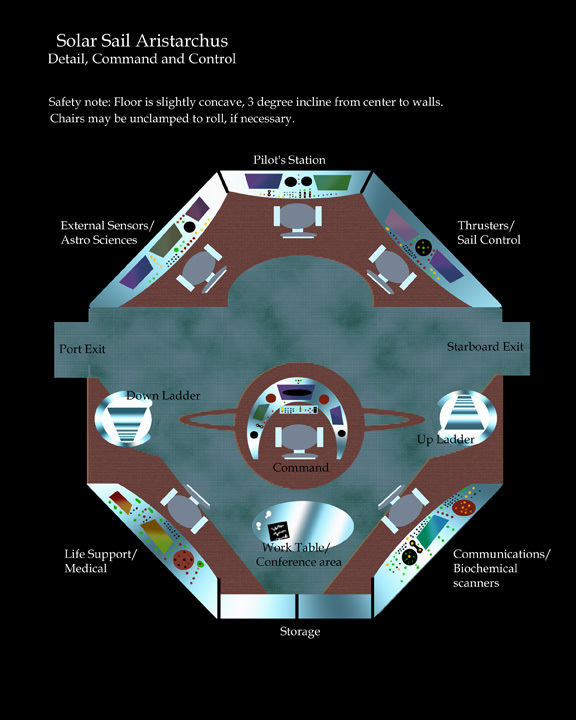 At one point in the journey, the mechanical computer—which felt like it would be more at home in a steampunk story than a science fiction tale—malfunctions and the cadets go sailing past Mars. Their only hope is to repair the computer before they also go past Jupiter. They do repair the computer, but make a mistake in the gear alignment, so they pass Jupiter after all. At this point, they have to keep their wits about them to find a way back home. I’ve been interested in solar sails since I first heard about them in the 1980s and I’ve been following more recent solar sail projects such as the Planetary Society’s Lightsail 2 experiment with great interest. I was impressed to see how much this early story about solar sailing got right about the process. Admittedly, the sail proves very easy to deploy and it sometimes behaves a bit more like a sail on Earth than a thin sheet of reflective material under little gravitational influence. Still, Vance correctly talks about the sail as being pushed by light and correctly talks about the sheer size required for such a craft while at the same time requiring as small a mass as possible. Aspects of the story remind me of my own novel, The Solar Sea. Vance talks about needing a crew who can perform calculations themselves without reliance on a computer. In fact, as I mentioned before, the “computer” is really more a mechanical adding machine than a modern electronic computer, but I like how the character of Henry Bolt insists the characters know how to fix it. Like The Solar Sea, Vance’s characters sail past Mars and Jupiter and attempt to use the gravity to help them navigate. In my book, I actually let my characters have a chance to explore. Both stories bring our characters to a point where things appear to be hopeless. I can’t say much more without risking minor spoilers. While the stories have similar elements, they’re also quite different. Vance’s story is about the journey and my story is more about the destinations. It’s just that our characters use similar modes of transportation and take a similar route. I have to confess, I’ve always been a little uncomfortable with the idea that an author is “a brand.” Part of this is discomfort with the fact that many Americans seem obsessed with celebrities for no other reason than they’re celebrities. I’ve always believed recognition is something that must be earned because of one’s skills and accomplishments. What’s more, given my background in the sciences, judging good writing feels very subjective. Another aspect of my discomfort with author branding is the fact that I write in several different speculative subgenres including horror, science fiction, and steampunk. While I know and respect many authors who change pseudonym with each genre they write, I’ve never felt comfortable doing that. I feel like I’m hiding behind the name of someone I’m not. I mention all this to explain why I created a website especially for my novel The Solar Sea when it was released nearly ten years ago. I wrote the novel during NaNoWriMo in 2004 and I succeeded in part because the novel captures much of my passion about exploring the solar system and the possible use of solar sailing as a technology. I wrote this as a novel that could be enjoyed by people of all ages and I thought a website that provided some additional background would be fun and would also satisfy my publisher’s desire for me to find new and innovative ways to market the novel. As it turns out, the web and the way people look for information about novels has evolved since 2008. Few people seem to seek out websites about specific books. Instead, they go to online book retailers, review sites, and yes, author websites and blogs. I have both of those latter items, but I maintained the TheSolarSea.com because, quite simply, the website was promoted in the print and ebook editions of the novel itself and it seemed like bad form to advertise a website that no longer existed. I do plan to move much of this information over to my page about the book: http://www.davidleesummers.com/solar_sea.html. In fact, I’ve already copied over my page with information about solar sails. I’ll copy the reader’s guide once the new edition nears completion. In the meantime, this is a great opportunity to grab the original edition of the novel for only half price. If you’re with me at TusCon this weekend, I have my last copies in the dealer’s room. 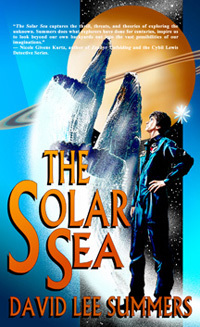 Otherwise, you can grab a copy at: http://www.hadrosaur.com/bookstore.html#solarsea. Just a note, I only have three copies left as of this writing. Let’s just get this out of the way. 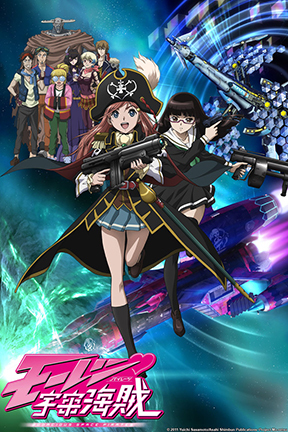 When I first saw the title “Bodacious Space Pirates” and the Blu-ray cover on a website, I thought this might be the kind of anime that creepy old guys watch with the shades drawn and the lights down low. Fortunately, being a fan of space pirates, I took time to learn a little more and discovered several positive reviews of the series by women. It turns out this is actually a fun space opera about a high school girl in the future, living on a planet orbiting Tau Ceti who has inherited the captaincy of a pirate ship, the Bentenmaru, from her long lost father. In this world, space pirates are a holdover from a war in the distant past. They’ve mostly been forgotten by the time our protagonist, Marika Kato, is in high school, but they still exist, largely to perform courier runs or entertain posh passenger liners with mock pirate raids. Two members of her father’s pirate crew have come to watch over her at school and begin her training as the new captain. In her life as a high school student, Marika is a member of the school yacht club, who have an old solar sailing ship they can use to travel around the Tau Ceti system. As a member of yacht club, Marika begins learning many of the skills she needs to be a ship captain. The pirate ship Bentenmaru operates under a letter of marque that will expire if the ship doesn’t go on any missions for a period of time. Because of that, Marika’s crew guide her by the hand on her first few missions. On one of the early missions, a princess stows away and asks Marika for help tracking down an ancient ghost ship. My only real criticism of the show is that its meticulous plotting leads to a few episodes where little happens besides Marika learning new skills. However, this also solves one of the biggest criticisms I have of the 2009 Star Trek by J.J. Abrams, which is how in the world are we expected to believe talented but inexperienced Jim Kirk is given command of the Federation’s best ship right out of the academy? In this case, we have a reason for Marika being given a command despite her inexperience and we follow her as she gains experience, knowledge and confidence. As a science fiction fan, I’m often on the lookout for good shows to share with my daughters. Of course, one of the downsides of classic science fiction, Star Trek included, is that it’s very male-heavy in the presentation. My daughters have never seen that as implying that exploration and adventure are things only for boys, but still, it’s nice to see a space opera where most of the cast are women and girls. In fact, what this show reminds me of very much are the “Boy Scout” novels of Robert A. Heinlein, except instead of boy’s adventure, this is girl’s adventure. And there are a few cool boys along for the ride include the helmsman, mechanic, and security chief of the Bentenmaru. So boys need not feel left out of the fun! Despite the mini-skirted school uniforms, there’s nary a fanservice shot in this anime, making it appropriate for pretty much all ages. So, I’ve been watching the series with my 14-year-old daughter who loves it. When I asked her what she thought of the title, she told me it sounded like a fun, space pirate adventure with girls and just the kind of thing she wanted to watch. So much for my first impression of the title. It seems to be just right for the series’ target audience after all. The series is free to watch on Crunchyroll and you can buy downloads of the English dub on iTunes. Next weekend, I’ll have a table at Las Cruces Comic Con in my home town of Las Cruces, New Mexico from September 9-11, 2016. I’ll be selling my novels plus copies of recent anthologies I’ve been in. New products available this year include my novel The Brazen Shark and the anthologies Gaslight and Grimm, The Martian Anthology, and Gears and Levers 2. I’ve also been thinking about a special autumn giveaway to hold at the convention to whet people’s appetites for The Astronomer’s Crypt. The guests of honor this year include: Seth Gilliam from Starship Troopers, Teen Wolf, and The Walking Dead; Casper Van Diem, from Starship Troopers and Sleepy Hollow; plus I’m excited to see that Camille and Kimerly Kitt, the Harp Twins will be performing this year. If you’re in Las Cruces next weekend, I hope I’ll see you at Comic Con! You’ll find me at booth E23 in the Exhibitor Hall. 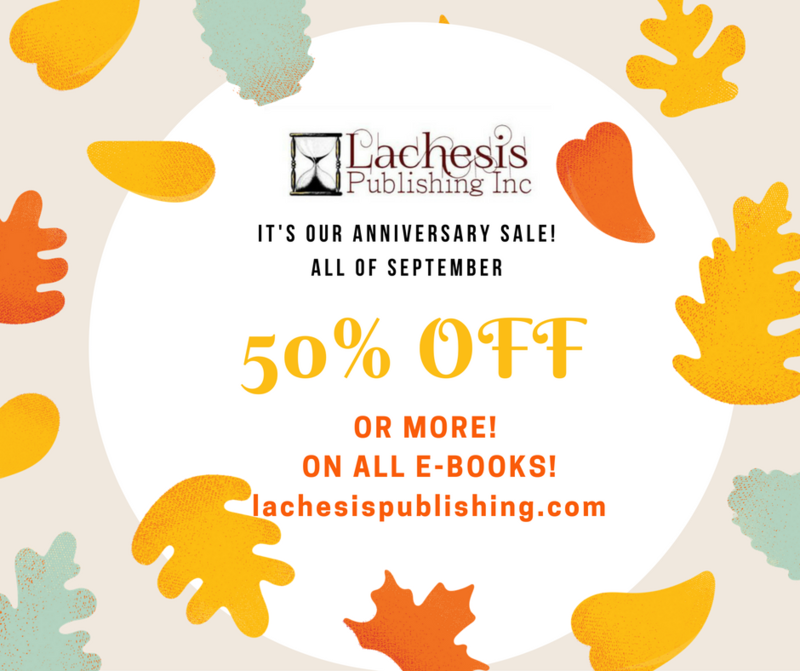 Also, this month, Lachesis Publishing celebrates its 11th birthday! All of their books priced above 99 cents are on sale for 50% off. This includes two of my science fiction novels. The Solar Sea tells the story of humanity’s first voyage through the solar system aboard a solar sail spacecraft. As it turns out, solar sails are real technology that organizations such as NASA and the Planetary Society are testing now. In my story, the Quinn Corporation discovers particles orbiting Saturn’s moon Titan that appear to travel through time. They build a solar sail to investigate these particles, which could have strong implications for humanity’s future. On their way to Saturn, they stop off at Mars and Jupiter and find clues that humanity may not be as isolated as SETI scientists have led us to believe. Author Nicole Givens Kurtz says, “The Solar Sea captures the thrill, threats, and theories of exploring the unknown. 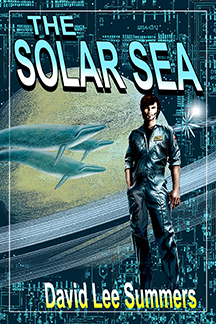 Summers does what explorers have done for centuries, inspire us to look beyond our own backyards out into the vast possibilities of our imaginations.” All month long, The Solar Sea is only $1.49 at Lachesis Publishing. In Heirs of the New Earth, Earth has gone silent. John Mark Ellis and the crew of the Sanson are sent to investigate. When they arrive, they find vast alien machines known as Clusters in orbit. Fearing the worst, they land and discover that the once overcrowded, polluted Earth has become a paradise of sorts. The problem is over half the population is dead or missing and the planet’s leaders don’t seem to care. As Ellis works to unravel the mystery, sudden gravitational shifts from the galaxy’s center indicate something even worse is in the offing. Author Greg Ballan writes, ” A warning to every reader…block off a good chunk of time, pour your favorite beverage and sit down in your favorite comfort space. 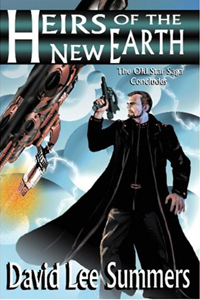 Once you start reading, the story jumps out and grabs hold, drawing you into a world one thousand years in the future where mankind has spread across the universe, contacted other intelligent life and colonized new worlds.” Although this is book three of a series, it is designed to stand alone. You can pick it up for $1.49 for the entire month of September. 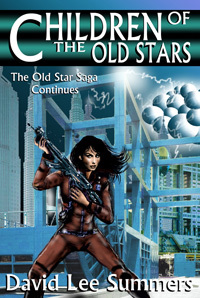 If you do want to get the entire series, the first book, The Pirates of Sufiro, is Free at Lachesis Publishing while the second, Children of the Old Stars, is 99 cents. That’s a three-book series for just $2.48! All my science fiction titles at OmniLit are 25% off today to celebrate the first day of summer! This post will give you links to those books they have available. I hope you’ll add one or more of my books to your summer reading list. My vampire titles are also on sale! Visit the post at the Scarlet Order blog for a list of titles and links to them.